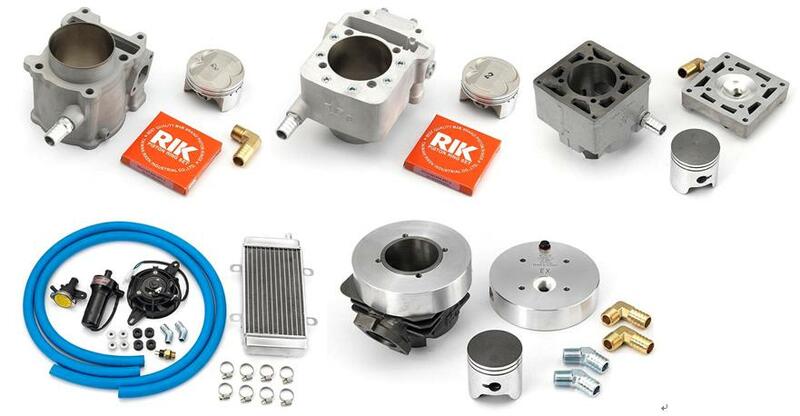 We can offer a series of water cooled good performance parts for your engine. Most of our water cooled cylinders are produced by mold, no worry leakage problem. Engine can keep in a stable range of temperature, being good heat rejection when it works with liquid cylinder. Therefore, it can get the most efficiency: Big HP, strong torque, lasting working time. Our radiators made of copper, more corrosion resistant than aluminum and good heat rejection. Pump now has a coat to prevent rust. Hose changed from black to blue, thicker and (UV Stabilized) to prevent damage by the sun. 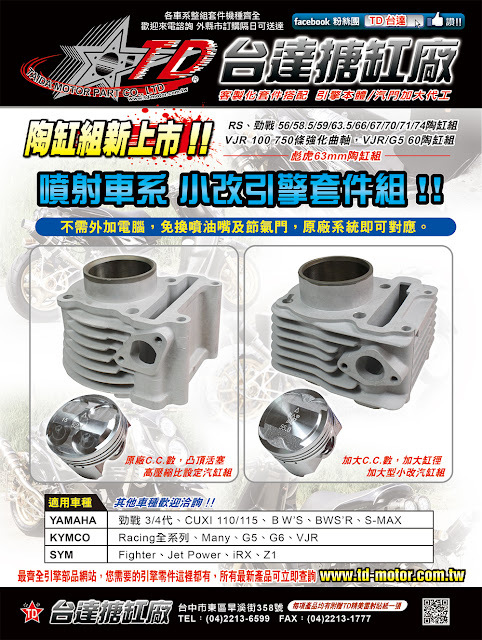 Taida new product, Racing King 180 bored cylinder kit, can make engine displacement from 175.1cc up to 204.48cc. If you want to try it, don't hesitate to contact us.